The gods who created this world have abandoned it. In their mercy, however, they chained the rogue god—and the monstrous creatures he created to plague mortal kind—in the vast and inhospitable wasteland of the Bourne. The magical Veil that contains them has protected humankind for millennia and the monsters are little more than tales told to frighten children. But the Veil has become weak and creatures of Nightmare have come through. To fight them, the races of men must form a great alliance to try and stop the creatures. 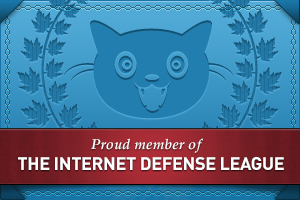 But there is dissent. One king won’t answer the call, his pride blinding him even to the poison in his own court. Another would see Convocation fail for his own political advantage. And still others believe Convocation is not enough. Some turn to the talents of the Sheason, who can shape the very essence of the world to their will. But their order is divided, on the brink of collapse. Tahn Junell remembers friends who despaired in a place left barren by war. One of the few who have actually faced the unspeakable horde in battle, Tahn sees something else at work and wonders about the nature of the creatures on the other side of the Veil. He chooses to go to a place of his youth, a place of science, daring to think he can find a way to prevent slaughter, prevent war. And his choices may reshape a world . . . . Yes, this is the second instalment in the Vault of Heaven Trilogy, and yes I have read the first book although I did not review it on here; the reason for this being it is a major player in my English Literature thesis. Unfortunately though, for this book, it is not a standalone read and therefore the first must be read to make any sense of this one. The main protagonists are many in both books, and their stories continue in this one; we see them grow from the children we first met in The Unremembered to adults that are still connected to their inner children at times. I usually go into great detail about my likes and dislikes of characters in the books I read, but with this cast of characters I felt the mixed emotions one has when confronted with Family and all the imperfections they bring with them. At times I just wanted to shake some sense into them and ask ‘why? Just why?’ and at others I was in my full cheerleading garb, pom-poms and all doing high kicks to spur them on. One thing I did find disappointing was the forced humour in the dialogue, this had come so easily in the first book as it does between friends, but in this one it seemed as if they were just trying to keep the humour going at all costs. I am hoping that this stilted humour is more a result of the events the characters have been through up to the end of this novel, and not an indication that the Author has lost his humourous pen. Rather than just continue expanding on characters from the first novel, the Author brings new ones into the storyline, and some that were introduced in Book One become integral to the storyline in this novel. Unlike Book One, Trial of Intentions is up and moving from the very first chapter; the reader has moments where the pace slows down enough for them to calm their racing pulses before picking up and propelling them through to the very end of the book. Something I was pleased to find in this second instalment that was present in the first was a musical quality that accompanies the writing of this Author; in gentle areas easy listening folk music is brought to mind in the way the language is placed on the page and I found myself reading everything rather than skipping the ‘song’ sections as I do in Lord of The Rings or The Hobbit; even when the action really picked up it was as if somewhere just out of view there was a rock guitarist playing some riff to accompany the action. Whereas Clockwork Angels by Kevin J Anderson was music (an album of the same name by Rush) to words, this is a book that could be translated from words to music. All of the major plotlines end on a cliff-hanger that leaves the reader waiting with baited breath for the final book in this trilogy, hopefully it won’t be as long as the wait has being for The Doors of Stone, book three of The Kingkiller Chronicle. Despite the cliff-hanger endings, unlike so many books that finish in this manner, this one does not leave the reader feeling that the book is unfinished and that the Author decided they’d had enough and sent it off to the publisher as is. I highly recommend both this book, and the first in the trilogy, for those who love to read this genre. It was expansive, it was epic and it was rich with hidden things that come out when the novel was reread (I have to say I am on my fourth reading of this book). Like an onion with its layers, this second instalment added a depth and richness to the world in which it takes place, and I hope that the Author continues in this way in Book Three. I will definitely be waiting to read the next novel by this Author. “David Bowie Is,” the extensive retrospective exhibit of the artist and his fabulous costumes, hit Toronto last Friday …, and as many people have reported, in addition to those costumes—and photos, instruments, set designs, lyric sheets, etc.—the show includes a list of Bowie’s favorite books. Described as a “voracious reader” by curator Geoffrey Marsh, Bowie’s top 100 book list spans decades, from Richard Wright’s raw 1945 memoir Black Boy to Susan Jacoby’s 2008 analysis of U.S. anti-intellectualism in The Age of American Unreason. 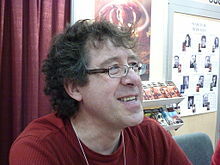 Canadian author and editor Joël Champetier died on May 30. Champetier’s first story, “Le chemin des fleurs” appeared in Solaris in 1981 and his first novel, “La mer au fond du monde” appeared in 1990. In 1983, he helped organize the first Boréal Congress and was on the board of directors for several years. Beginning in 1990, he held various positions at Solaris and was managing editor at the time of his death. His other works included ” The Dragon’s Eye”, “La taupe et le dragon: Roman” and “La mémoire du lac”. Among the most influential books in Western civilization, the Poetics is really a treatise on fine art. It offers seminal ideas on the nature of drama, tragedy, poetry, music, and more, including such concepts as catharsis, the tragic flaw, unities of time and place and other rules of drama. This inexpensive edition enables readers to enjoy the critical insights of one humanity’s greatest minds laying the foundations for thought about the arts. This little book looks to address the different kinds of poetry, the structure of a good poem, and the division of a poem into its component parts. 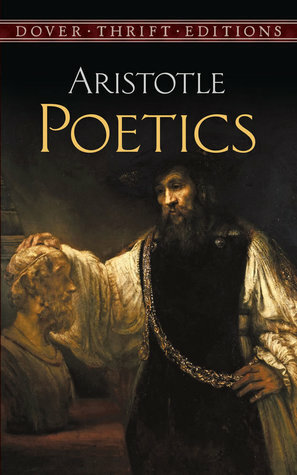 Aristotle defines poetry as a ‘medium of imitation’ that seeks to represent or duplicate life through character, emotion, or action, he defines poetry very broadly, including epic poetry, tragedy, comedy, dithyrambic poetry, and even some kinds of music; however it also serves as the basis from which all literary criticism arose and it is apparent that some of his ideas have survived the centuries when reading reviews from well-respected personage in this field. Not my usual book review but I feel that all lovers, be they readers or writers, of literature could benefit from reading this short treatise on literature, rather than it being reserved and known only to those who are studying English Literature at whatever level. It is not an easy read, but it wasn’t so hard that I felt I was drowning in syrup and, although I did not pick this up for enjoyment I did find myself enjoying most everything in it. Whilst reading through the pages, it made me begin to examine the yardstick I use for my own review of books, and also the reasoning behind my choice as to whether I read a certain book or not. 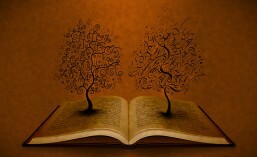 From reading this I have come away with the feeling my scope is too narrow, and I need to broaden my reading horizons. As much as this little book made me think, I can only give it a 3 thumbs rating as there were times when, as much as I liked Aristotle’s point of view, I wanted to choke him like a chicken. This is a must read for anyone studying literature and literary criticism, but also for those who write as it may open a new direction and thought process to them that they can then apply into their works.